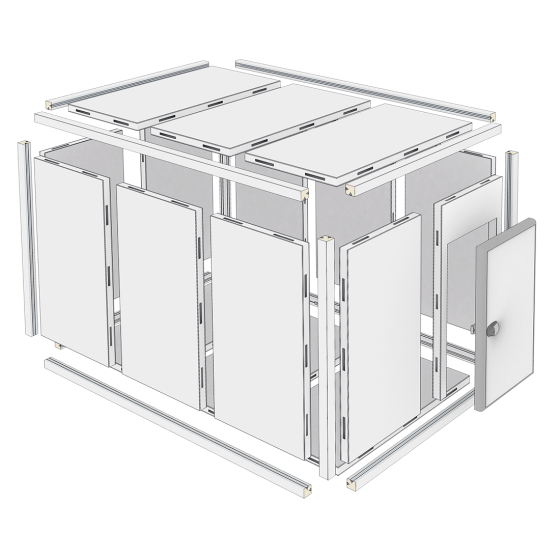 modular cold rooms able to satisfy several requirements and needs. Macro System is a program of modular cold rooms able to satisfy several requirements and needs. Macro cold rooms are constructed by polyurethane sandwich panels (density 40+-2 kg/m3) measuring 400 mm with 200 mm modules on both sides, thus being suited to providing small, medium and large capacity containers with flexible characteristics. Customized cold rooms may be produced on request.